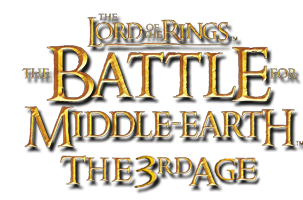 We have all wondered how cool it would be to be playing Sharaku, the warg captian of Isengard or the captian of Lothlorien, Haldir in our adventures into the Battle for Middle-Earth. I wanted to do this so badly that one day, I found this website and it gave me the final push I needed to make a hero. Now I want to share my knowledge with you. Creating a hero isn’t very hard at all, since you can copy a existing hero’s .ini folder. I would not try to create the ini from scratch as it is very tricky and somewhat irritating with all the errors and false spelling that will come out of creating the .ini and making it fully readable to the game. Instead we are going to copy the .ini file of Legolas, as I intend to teach you all how to make Haldir playable in your game. Please make sure you know how to effectively open .ini files by clicking on this link and reading the tutorials CLICK. Check out the tools section for the programs you will need to extract your .ini files to edit them. First off we will be copying Legolas’ .ini file. Right click on the Legolas.ini in the object/good faction/unit/rohan directory. Now look for the “Copy” selection and press it. Ok, now lets paste it into the same directory, only changing the name of the .ini we copied to “Haldir”. ; SelectPortrait for Heros is portrait behind skill buttons. HP = HeroPortrait. ; ButtonImage for Heros is button image on Hero Select UI to select hero. HI = HeroIcon or HeroImage. Now that we found it, lets edit it to fit our new hero. Button Image = The small icon of the hero that you will see when clicking on the citidel to Recruit your hero for example. Note: not every custom hero you will want to make will have a icon or portrait for you to select. Moving on to models/animations. We wont need to change anything here because the Legolas animations will work just fine for out archery hero Haldir, so I wont cover it in this tutorial. Instead, move down the file until you find the “Design parameters” strings. Here will can edit the stats or even faction of our hero. Side = the side/force you want the hero to be added to. Editor Sorting = skip this one, you will not need to edit it in this tutorial. Threat Level = How threatening this unit is to AI. If it is a high level of threat the AI will go after it first. If it is a low level then the AI will not worry about it as much. Thing Class = skip this one, you will not need to edit it in this tutorial. Build Cost = How much our new hero will cost to be recruited. Change this to any number you like. Build time = How long it will take for the hero to be built. Once again this can be changed to any number you like. Remember build time is in milliseconds. Weapon Set = The weapon damage that the new hero will do when he inflicts damage. Change it to any other hero that you like in the game by adding HeroNameWeapon. Armor Set = The armor value this hero has. It determines how well he can take damage from other units and how long he can stay alive when under attack. Vision Range = How far this hero can see. Since we are making an elven hero, we will want him to have good vison so you can leave this one alone, or change it to any value you like. Display Name = Be sure to change this to the Side/Name of the hero. Command Set = This is the Buttons in the plantir that our new hero will be able to use. Will we make the command set later in the tutorial. For right now, call this RohanHaldirCommandSet. Display Melee Damage = This is the number value that you will see when you mouse over the hero. If you changed your melee damage earlier in the tutorial, then change this to the hero that has the melee damage you selected, for example if I changed my weapon set values to Borormir, then I would change this to BOROMIR_DAMAGE. Display Ranged Damage = Same as above, but change the value to FARAMIR_BOW_DAMAGE for example, instead of BOROMIR_DAMAGE. ReSpawn Rules: This area of the code will allow you to change how long it takes/how much it costs to revive a hero after he/she has fallen in battle. Change the values here to anything you like. Soon, you will be seeing a “Behavior” code. Behavior codes are the skills/spells that heros will be able to use in the game. So if you wanted to have your hero use the “Athelas” ability, like Aragorn does, then you will need to go into Aragorn’s .ini file and find the Athelas behavior. You can skip this part if you don’t want you hero having any spells/skills. If you do want your hero to have some Behaviors then you will need to wait for my next tutorial, where I will talk about command buttons and Spells for your hero. Now, save your .ini file as your Hero’s name, then exit. Now remember that command set we referenced? RohanHaldirCommandSet? Well, we are going to go make that now. Go out of the hero’s section and back out to the main section of .inis. Here we will find commandset.ini, open it up. Scroll down to the very bottom of the file and make a code for your new hero. On one line, we will need to state what hero/unit this command set will effect. Now we made the commandset, will we work on it next time. Since we are done with the CommandSet for the time being, we will go add the hero to our game. Find the Playertemplate.ini file. In this file, is all the different details on the factions in the game. Scroll down unit you find the faction that you want your hero to be recruited under. Remeber when we changed (Or left alone) the side = string? we will now need to remember what side we wanted our hero on, then add him to the BuildableHeroesMP string. In this guide I was making Haldir, and I plan on adding him to Rohan, but you can add him to any faction you please. So, edit this code to the BuildableHeroesMP string if you are making Haldir for Rohan. Note: This makes the hero playable, but there are alot more powers and abilities you can add to them. Check out the other tutorials for more ideas. Not working for me... If I make this I got an error with the original Legolas.ini file. If I delete this new "Haldir" stuff the game works fine. 1. My hero ingame that I made with your steps works but is called a "MISSING:Object". How do you change this? 2. I was wondering how to change build and revive text to be different than the copied hero. wr1000, I had the same problem. What do you use to open the bin File . Can Anybody make a video Please . does this work for bfme2 and rotwk as well?